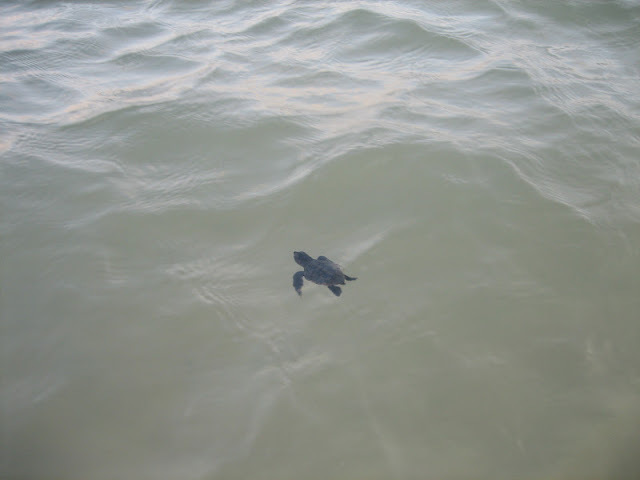 Home » Belize Travel Blog » My Life » It’s Turtle Season: But Hatchlings on the Beach At Royal Palms? It’s Turtle Season: But Hatchlings on the Beach At Royal Palms? Royal Palms, the condo community where I reside, is about one mile south of town. 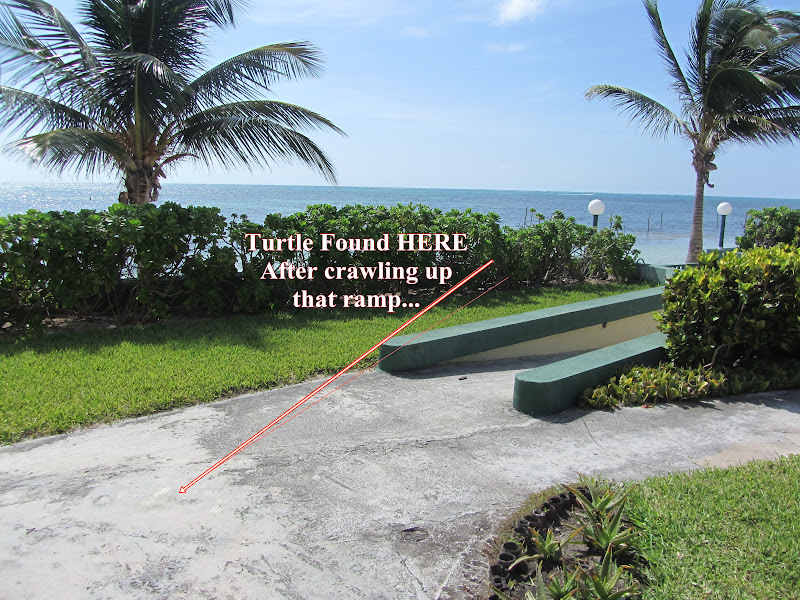 Not really an untouched area anymore, there are other condos, hotels, and homes all around us.But yesterday, my friend Jamie (who incredibly sadly is leaving Monday after 7 weeks visiting) found a baby turtle making his way up the pathway at Royal Palms. Broad daylight and he was about 20 feet from the beach heading in the wrong direction. Flapping away on the sidewalk. Not his native environment. 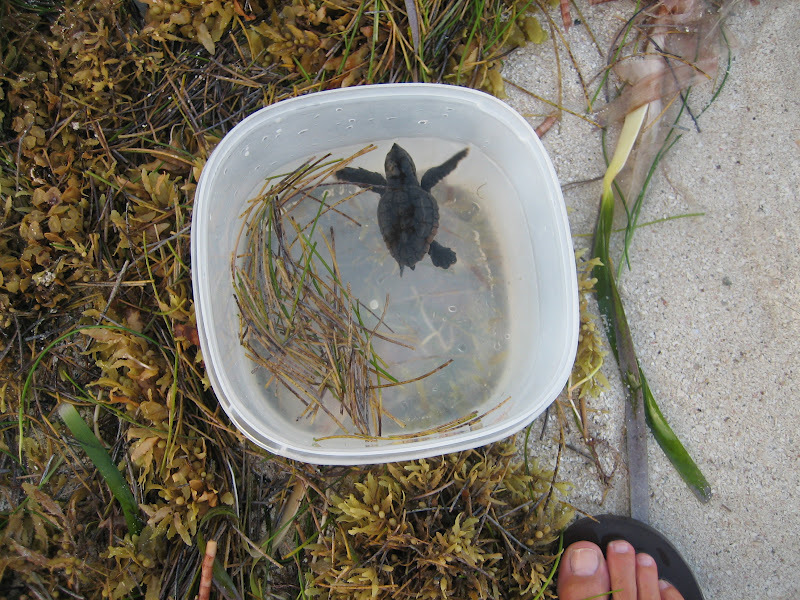 You may have seen the pictures I posted last week (on my Facebook page) of Jamie releasing baby turtles in Cancun. 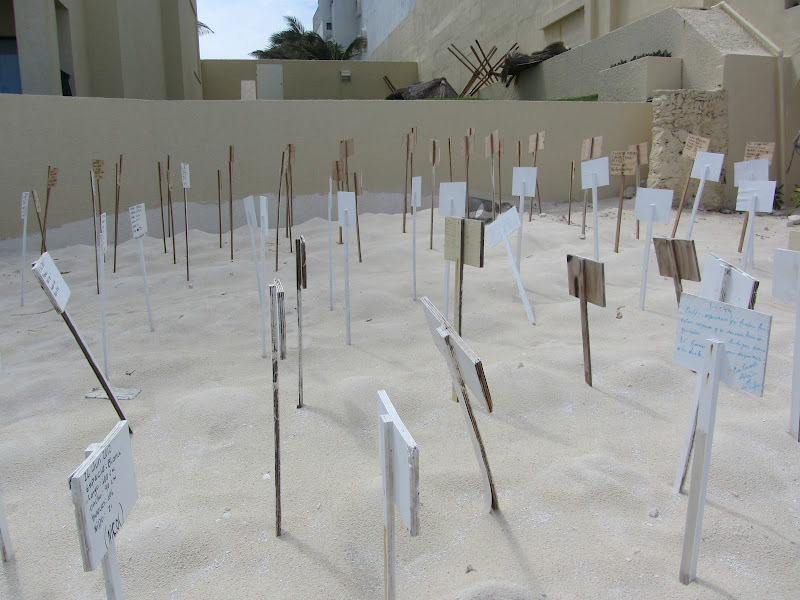 But those Mexican turtles had been cordoned off as soon as their mothers laid the eggs and very carefully protected. 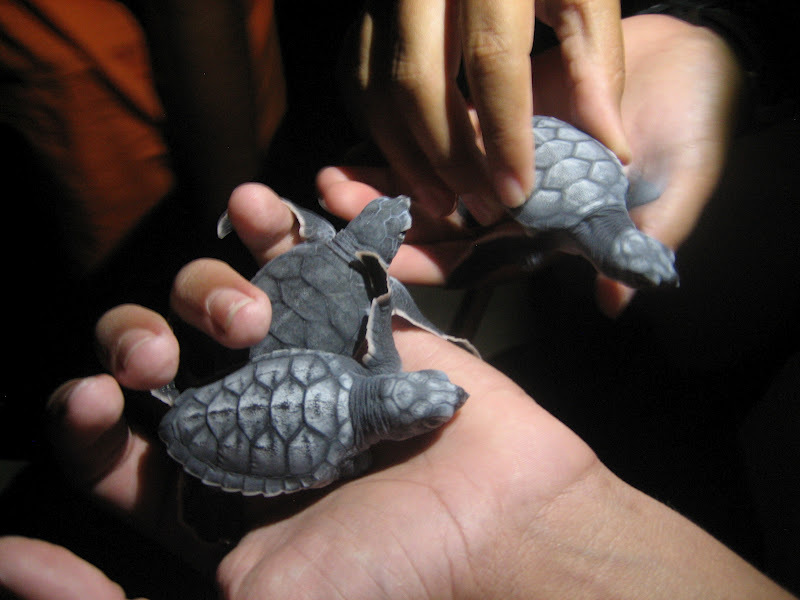 And each participant was handed a baby turtle or three (out of 421!) to send into the Caribbean waters…and to watch to make sure she swam off rather than to the shore. 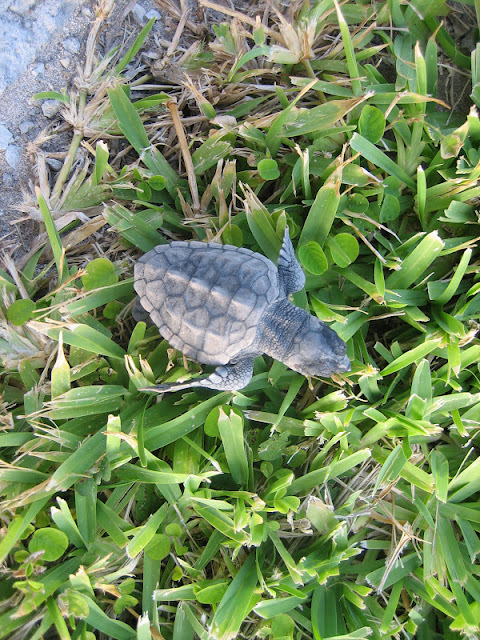 But a baby turtle at Royal Palms? This narrow beach with all day foot traffic where half of it is surrounded by sea wall? But there he was. And based on her extensive experience (she would like to request that you now call her “Turtle Whisperer”), this guy was a little older than the Cancun newborns. His shell was a bit harder and he didn’t have his egg sack below him. He gave a few flaps in the water and then dove deep and out of sight. Swim little guy…swim to the Sargassum! Later that evening, Jamie took a look in the same area to see if there were any more turtles and sadly, there was one. Not in such a good place…he was dinner for a pack of crabs. She fought off the crabs valiantly and buried him at sea. Does anyone know what kind of turtle this is? Or why he might have been down here in town crawling on a side walk? Maybe the dredging has something to do with it? Cute little turtle. 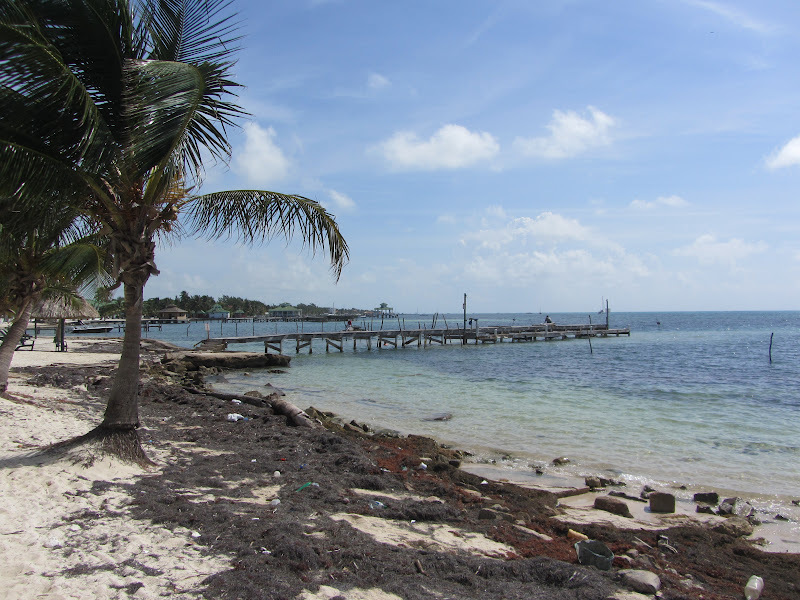 My hubby and I stayed at the Royal Sands in Cancun last summer with some friends who have a time share there. 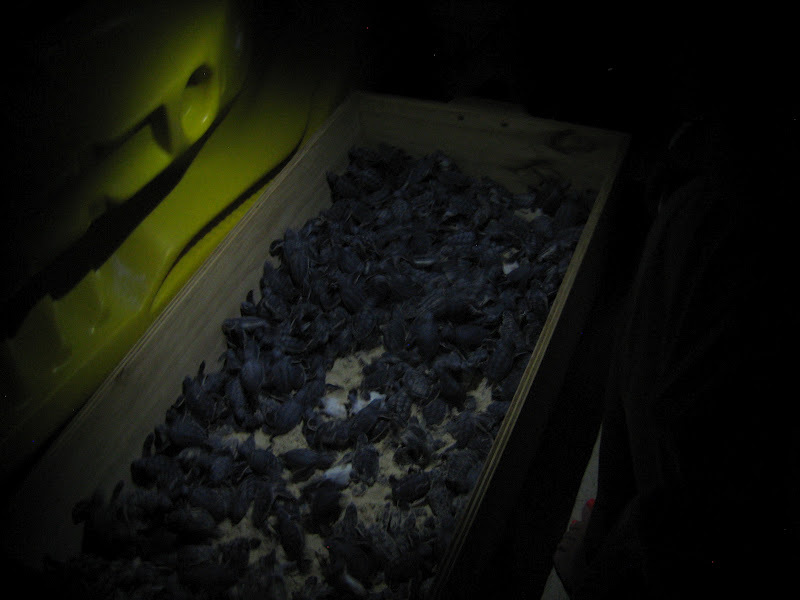 It was in June, so we got to go out late at night on the beach and watch the huge sea turtles come out of the ocean onto the beach and lay their eggs. It was the most incredible experience. I was just in awe. We went out 2 different nights. 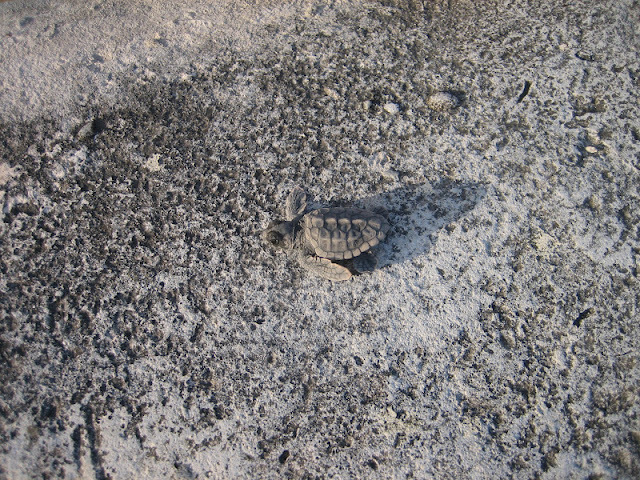 There are turtle patrol all over the beach collecting the eggs as soon as they lay them. It was so cool. It is so cool…so glad they are doing that. I WISH i had seen the mama’s and their eggs. PS…loved staying at the Royal Sands!